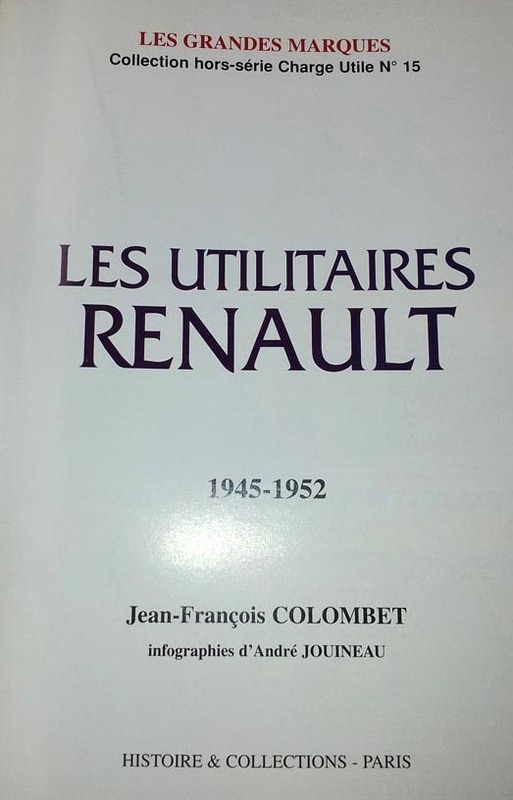 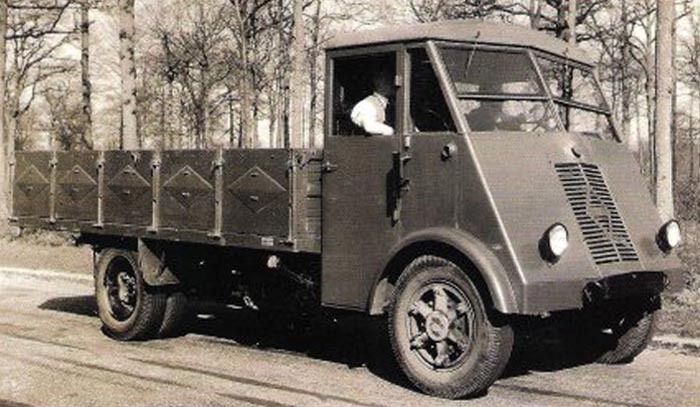 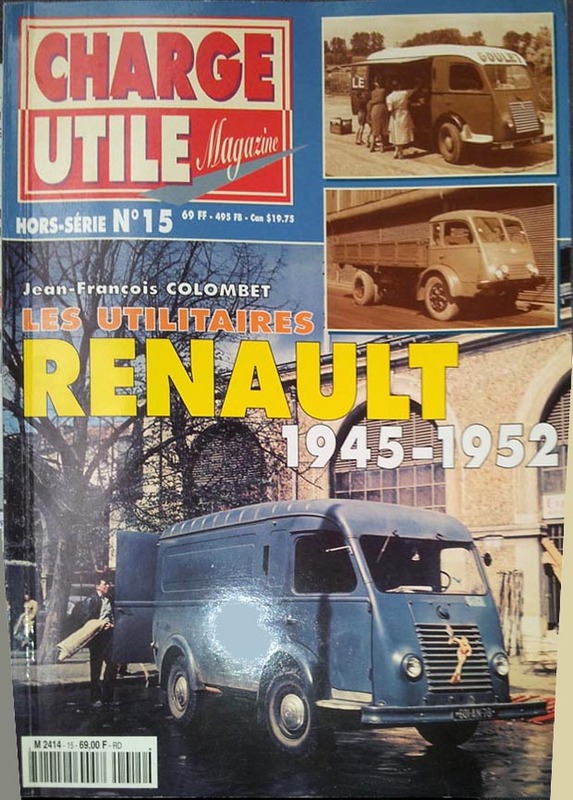 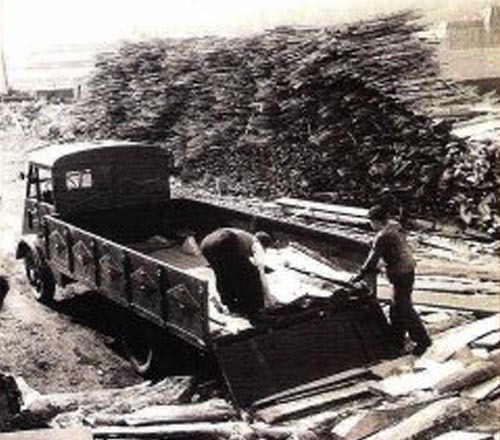 Last Renault truck ahn 3 build from June 1946 to January 1947, in 2,000 copies. 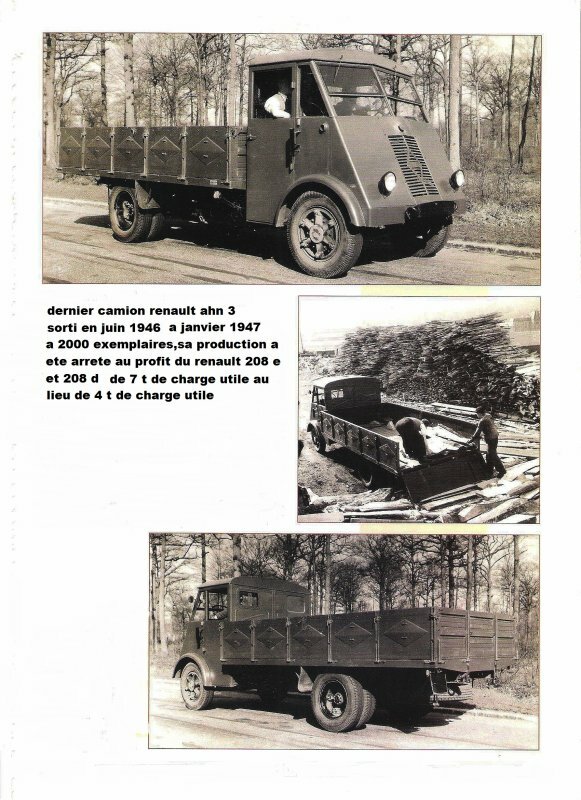 Its production was stopped in favor of the Renault 208 e and 208 d of 7 ton payload and 4 ton payload. 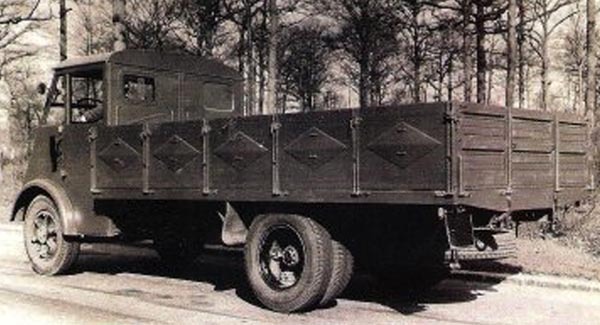 Notice the low placement of the cargobed in compare to the earlier versions.